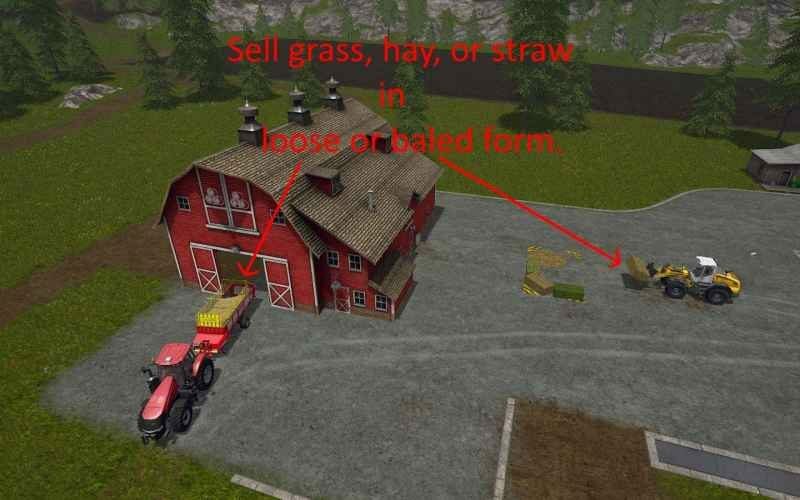 The hay barn is where a player can sell grass, hay, or straw in either loose or baled form. 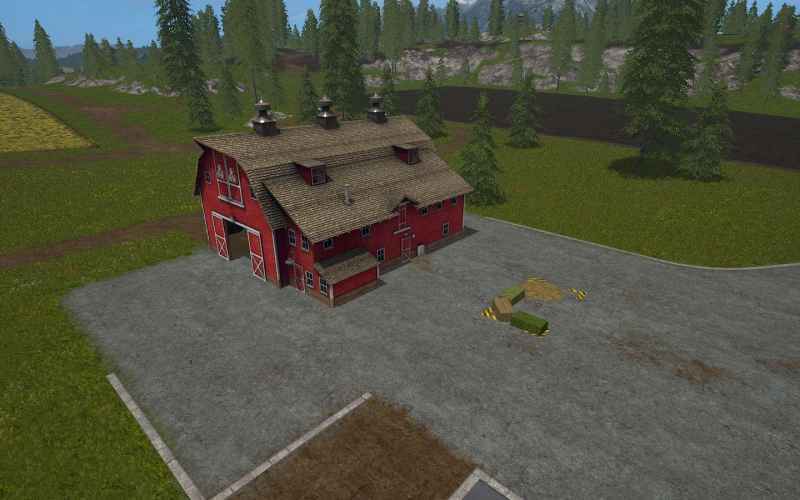 This mod is a placeable version of the hay barn, which will work the same as it does in the stock GIANTS map. (1) Grass, hay, or straw may be sold at these placeables in either loose or baled form. So far as I’m aware, there isn’t a placeable bale destroyer trigger available for FS ’17. Hopefully this mod will fill that need. (2) The placeable will show up in the selling screen stats just like other sell points. In addition, they are noted as hotspots on the PDA map for easy location. (3) The mod includes two placeables — a hay barn, and also a separate placeable trigger that will accomplish the same thing, if the player doesn’t have room to place the hay barn.